Yay! It’s the weekend we all wait for every year! iNSD is finally here! There are AMAZING new goodies hitting the stores this weekend that you won’t want to miss. Top that with an awesome sale….you better be ready to shop! I am so excited about the new goodies this week! I am going to get right to business and show you the awesomeness! There are THREE huge bundles being released this weekend and one single kit! You can buy the bundles and save money or you can pick up pieces individually! Since this is one of the biggest scrapbooking weekends, the Bella Gyspy store is 40% off through Sunday! 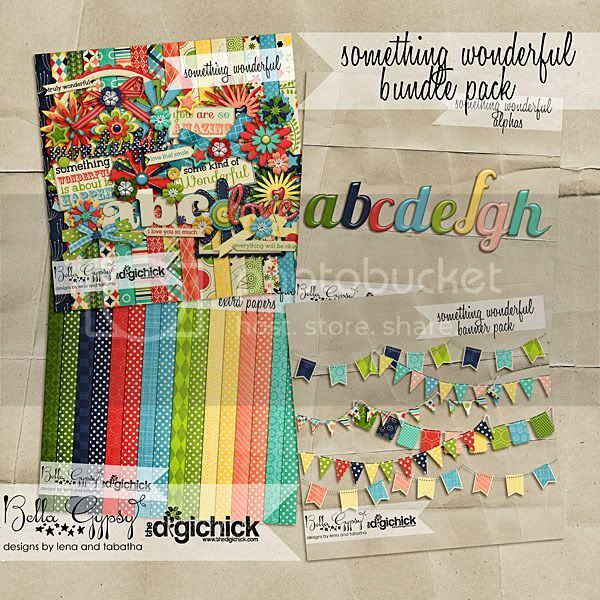 First up are two new amazing kits that hit the Bella Gypsy store at The Digichick on Thursday. Remember you can save and buy the bundle, or you can pick up individual pieces! Next up, is another bundle that is hitting the Gotta Pixel and A Cherry on Top stores today! Haven’t got your fill of Bella Gypsy goodies yet? Here is one more kit that is hitting the stores today too! Finally, here is a little freebie just for you! Click HERE for your link! Thank for the super cute cluster. And love the new releases! Thank you! That’s so cute. Thank you and you are dino-mite yourselves! 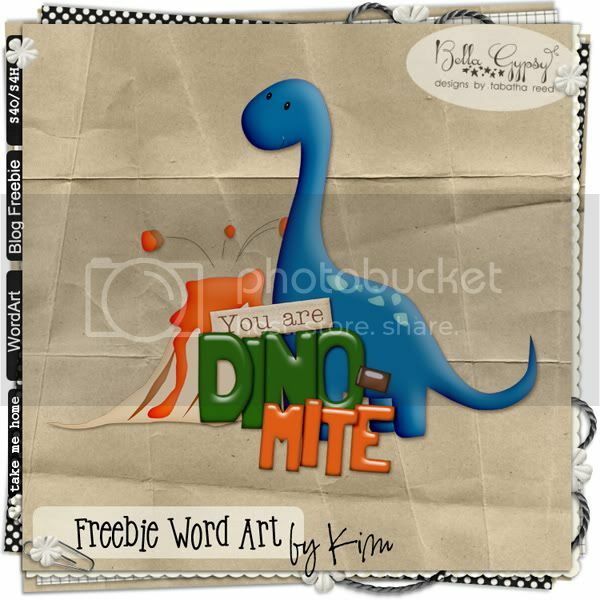 Super cute word art! Thank you!